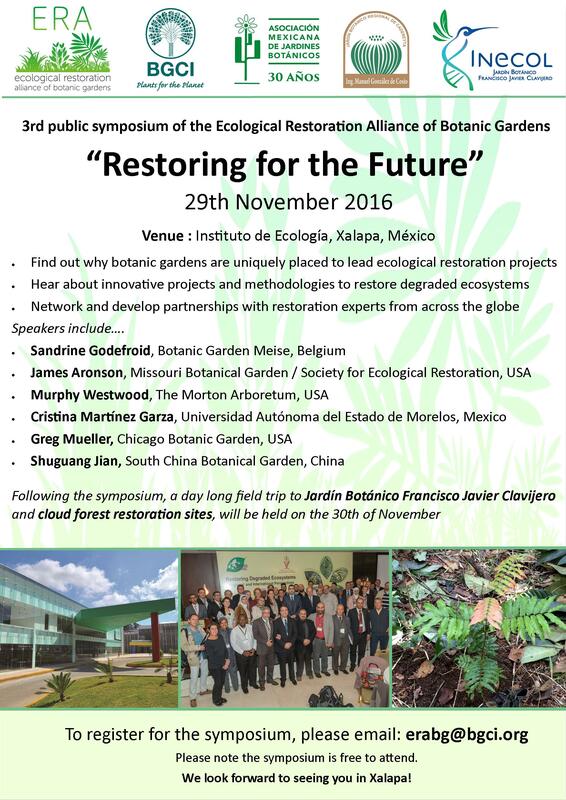 The 3rd public symposium of the Ecological Restoration Alliance of Botanic Gardens (ERA) will take place at Instituto de Ecologia, Xalapa, Mexico on 29th November 2016. The symposium will be followed by a field trip to cloud forest restoration sites and a business meeting of the ERA. Join us in Xalapa! Email us to register for the symposium. Read about our last public symposium in Jordan.